We are delighted to announce that Calibrate Legal CEO Jennifer Scalzi has been inducted as a Fellow of the College of Law Practice Management (COLPM). Acting as a catalyst for positive change within the legal profession, including the encouragement of diversity and inclusion, throughout the profession. Below is the Jennifer’s bio that was sent to COLPM members. Jennifer Scalzi is the CEO of Calibrate Legal, Inc. and has spent the last 17 years inside of, and as a consultant to, law firms. From her in-house experience, she has seen where law firms have been, and now through her vast network and continued industry research, she is looking to the future of what will and could be. She is an advocate for making informed and strategic investments in human capital, particularly in a profession as competitive as the legal industry. 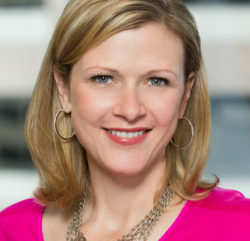 Jennifer believes data and knowledge-sharing will significantly contribute to the dialog between law firm leaders and the executives who help advance their strategies. Jennifer is a trusted advisor, committed to empowering others, and a colleague who shares her time and insights. Jennifer started life in Houston, TX and grew up in the Hill Country until she headed for Baylor University. When not working, you can find her curled up with a good book – preferably historical fiction. Her twin daughters, now five, may end up being her biggest achievement outside work. Running a close second is a solo trip to Brazil where she joined with a group on an island off the coast of Rio and spent a week hiking and kayaking. She hiked 40+ miles and kayaked over 50 miles in one week. To top the trip off, she hiked a route that included a vertical climb of 3500 feet over seven miles. Her mentor was a partner at Locke Lord in Austin, Cynthia Bast, who took the time to learn about her, the work she was trying to do, and made it her mission to share with Jennifer the political ropes needed to navigate a law firm. She also taught Jennifer that work is more meaningful when you get to know your clients and celebrate their victories with them.